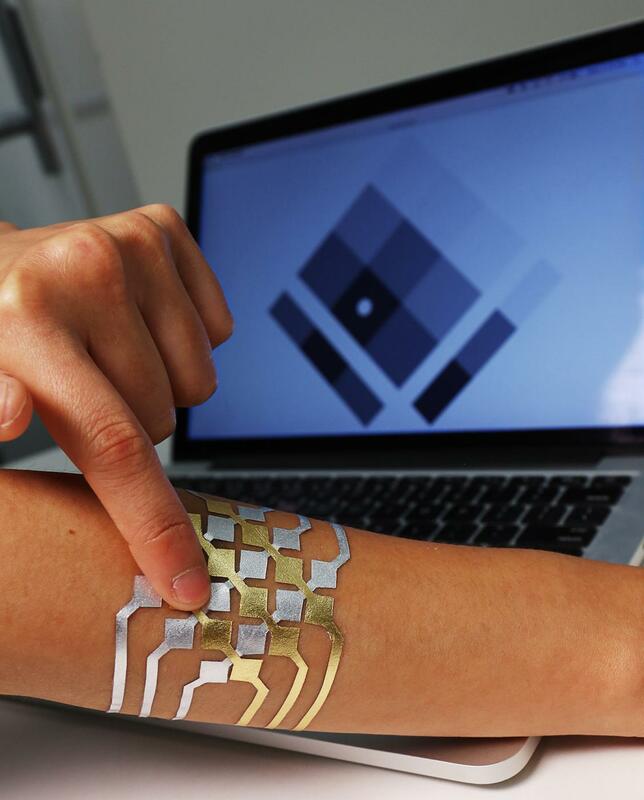 From sci-fi to the real world: DuoSkin’s temporary tattoos turn your body into an interface. And, the device has won rave reviews in the tech and fashion worlds. When my fellow researchers and I created DuoSkin in 2016, the very idea seemed steeped in a fantasy world. But less than a year after we published our research and released our prototypes, our on-skin interface technology has been formally recognized as real. At the 2017 South by Southwest (SXSW) Interactive Innovation Awards this month, DuoSkin won the “Sci-Fi No Longer” category for the coolest scientific achievement or discovery that previously was considered possible only in science fiction. It was an exciting affirmation of our work, and the award capped several months of public and media interest in DuoSkin. 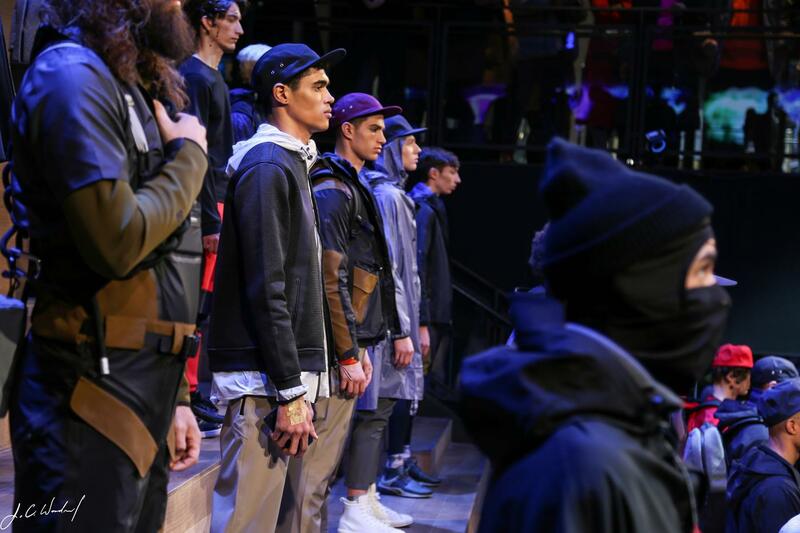 In fact, the SXSW honor came after the DuoSkin tattoos debuted in the real world…at New York Fashion Week. Here’s how it all came about. So, I bought some fashion tattoos and tested them with a multimeter. They turned out to be non-conductive, but I remained intrigued with the idea. That summer, when I began my internship with Asta Roseway at Microsoft Research in Redmond, WA, I began my mission to make conductive tattoos. After my internship ended, with Microsoft and my fellow Media Lab researchers, I continued developing what we decided to call DuoSkin. The DuoSkin research team believes that in the future, on-skin electronics will converge towards the user friendliness, extensibility, and aesthetics of body decorations, integrated to the extent that the interface technology has apparently disappeared. How does DuoSkin work? What is it for? DuoSkin is a fabrication process that enables anyone to create customized functional tattoos that can be attached directly on their skin, just as kids apply temporary tattoos. But DuoSkin has a major difference: using gold metal leaf—a material that’s cheap, skin-friendly, and robust for everyday wear—we made three types of on-skin interfaces: sensing touch input, displaying output, and wireless communication. This process draws from the aesthetics found in metallic jewelry-like temporary tattoos to create on-skin devices which resemble jewelry. DuoSkin devices allow users to control their mobile devices, display information, and store information on their skin while serving as a statement of personal style. 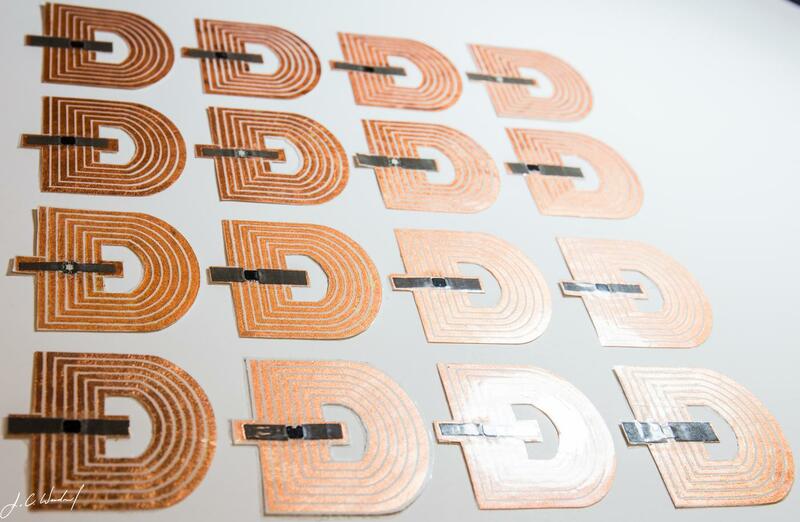 In essence, DuoSkin’s metallic tattoo process can store and share data with your smartphone or other such device via near-field communication (NFC) technology—that’s for wireless communication. At the same time, DuoSkin’s “touch input” technology enables you to use your skin like a trackpad for activities such as adjusting the volume on your smartphone, turning on lights, or writing text. As well, the tattoo shows information, including your mood and the weather. Plus, we can design them in any color and shape, and they can go anywhere on the body. Fashion designer Chris Bevans, a former Media Lab Director’s Fellow, had heard about DuoSkin, and he saw an interesting synergy between the focus of his DYNE brand on NFC in clothing and DuoSkin’s NFC tags. For a while, Chris had been embedding NFC in his athleisure-leaning garments, so in January this year he decided to reach out to our DuoSkin team to talk about a collaboration for his New York Fashion Week show just a couple of weeks away. It was an intriguing proposal, as DuoSkin is often viewed as having a female aesthetic, and Chris would be showing a menswear clothing line. At first, I was unsure whether to do it or not but after some thinking, I decided it would be an interesting design experiment to customize DuoSkin for a menswear fashion show—focusing on the ability to personalize it for any wearer, be they high-end or street style. That’s a crucial aspect of DuoSkin. The clock was ticking, though; we had to work fast. We custom-designed and fabricated 10 NFC tags and shipped them to Chris three days before his New York show so he could incorporate them into his new DYNE clothing line. The DuoSkin team collaborated with designer Chris Bevans to customize these on-skin interface tattoos/NFC tags for his DYNE menswear show at the 2017 New York Fashion Week. On January 31st, we caught a bus to see our creation debut at New York Fashion Week in Chris’ DYNE show. It was an amazing experience to see DuoSkin in the context of a real-world event. Models wearing DuoSkin tattoos walked the runway at New York Fashion Week. The DuoSkin research team had only two weeks to customize the interfaces for this show. In deciding whether or not to pursue a collaboration such as this one with Chris Bevans, it was important to revisit the central vision that drove the project in the first place: the ability to customize the technology for any person; not just those who would wear jewelry-style tattoos. Then, we needed to deploy it in the real-world: the collaboration with Chris was a test of immediate deployment, and it worked. 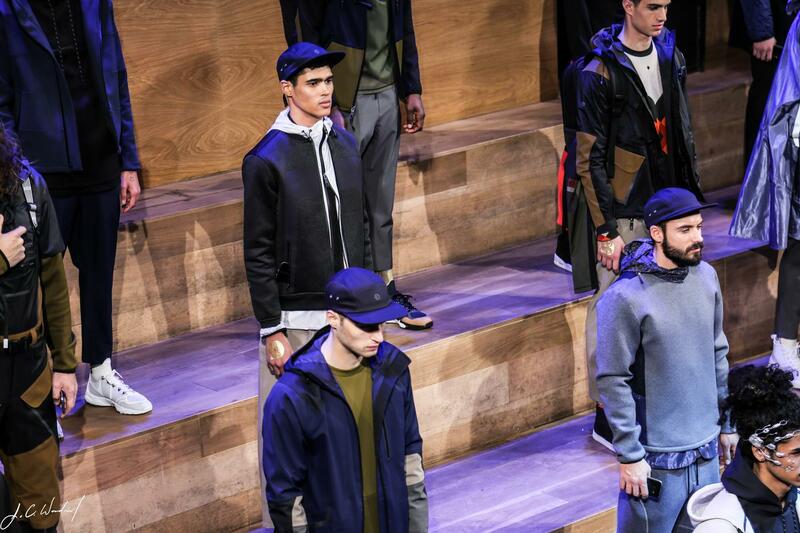 We experienced not only the fast pace of a fashion show, but also the amount of detail and planning it involved. And, we discovered that we share some experiences with fashion designers. As researchers, we work for months on a project in hopes of getting it published and allocated 15-20 minutes to present at a conference. Similarly, with fall/winter and spring/summer fashion shows each year, designers are allocated an average 45 minutes to share their curated ideas with the world. We’re grateful for this opportunity to bring DuoSkin out of an academic, technology-focused context, and to see it presented in the fashion scene. Incorporating DuoSkin tags in the DYNE show was one way to overcome a common perception that metallic-inspired tattoo interfaces are only for women. DuoSkin aims to celebrate the personalization of individual style that is often missing in today’s wearable technologies. We designed it as a body-crafting process with which anyone can design, make, and customize their own on-skin interface. We think it is important for a device so intimate to the wearer’s body to reflect the person’s sense of style, and not conform the wearer to a predefined function or form factor. We purposefully made the process inexpensive, user-friendly, and temporary so it is more playful, and more inviting for people to try it out. Above all, we wanted to make these seemingly cyborg technologies less scary for the general public. However, since DuoSkin is inspired by metallic jewelry tattoos, it is often perceived as a female wearable, as I mentioned earlier. At conferences and interactions with the press, we would often get comments such as, “It looks so feminine;” “Only my girlfriend would wear that;” or, “Is there a version for guys?” The answer to that last comment is "Yes!" As it is a process that can be customized into any design, color, and function, DuoSkin seeks to be conformable for or any gender, cultural background, and personal aesthetic preference. In this sense we are all storytellers, and DuoSkin gives us each an opportunity to share our own vision and style. Cindy Hsin-Liu Kao is a PhD student at the MIT Media Lab. She’s a research assistant in the Living Mobile research group, which is led by Chris Schmandt. He’s her advisor on the DuoSkin project, along with Asta Roseway of Microsoft Research where Cindy also worked with Christian Holz and Paul Johns. Her Media Lab collaborator is Andres Calvo. Acknowledgments: We thank Microsoft Research for their continued support of DuoSkin, and students from MIT's Undergraduate Research Opportunities Program (UROP)—Sarah Bardin, Erica Yuen, Tiayne Chen, Heather Nelson, Leandra Zimmermann, and Joshua Woodard—for their contributions to the project. March 17, 2017 - MIT Media Lab's DuoSkin won the SciFi No Longer prize at the 2017 SXSW Innovation Awards. DuoSkin is a winner of the 2017 SXSW Interactive Innovation Awards. DuoSkin was one of four finalists in the Design category of the 2017 World Technology Awards.